The circuitboard-like magic circle used for the MaGOS. The diagram is to guide and illustrate the flow of energy around the MaGOS, but can be used generally as a platform for charging an object. The field described by this pattern is akin to a sphere, taking in energy from the boundaries as well as the central circle, radiates it outward from the center, reflects it back from the perimeter, and cycles the force evenly through the circle. 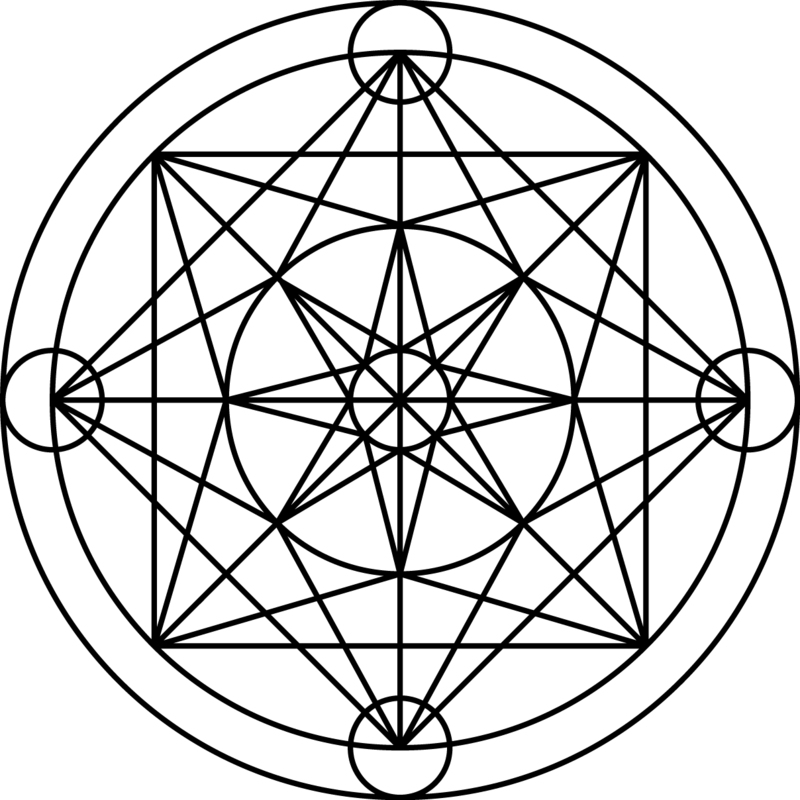 The central circle, crossed by the meridians and guides, helps evenly circulate the force around the field.